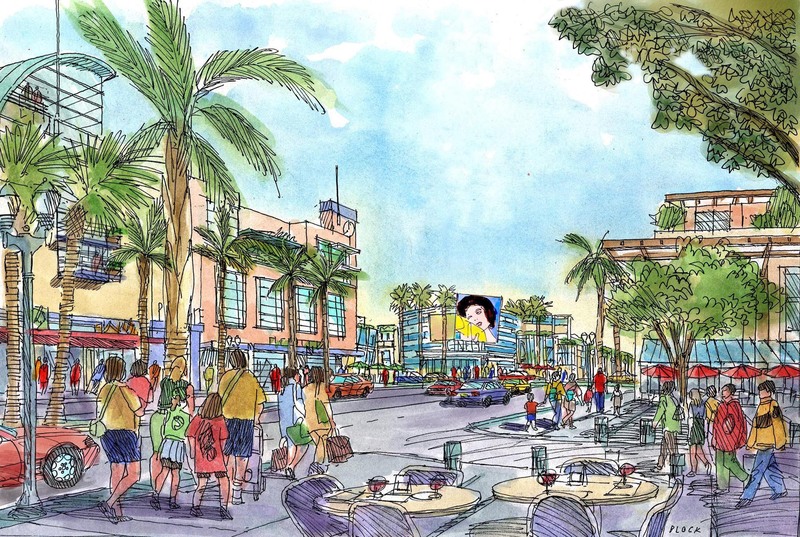 To address concerns of higher densities in the City of Monterey Park’s major commercial corridors (downtown), and to enable its staff to envision the aesthetic and economic impacts stemming from an enormous pressure from the development community, the City selected Gruen Associates to develop a Mixed-Use and Linkage Plan, and Mixed-Use Standards and Development Guidelines. 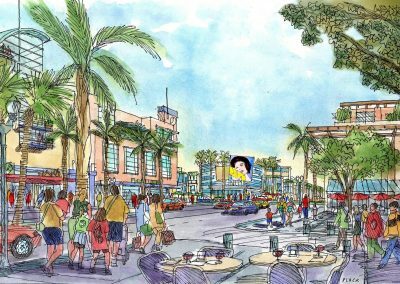 Gruen established a vision for the diverse suburb of Los Angeles in which walking, cycling and transit were integrated with mixed-use development along the corridors to create a livable community. We presented various prototype developments showing possible integration of a wide mix of building types from residential live/work units and multi-family projects, to major mixed-use developments. The success and usefulness of our study led to Gruen developing a graphic brochure summarizing the mixed-use project and zoning ordinance to implement this Plan. Various projects under development used the results of our plan.